Nowadays people are more health-conscious, they worry about what they eat and drink. Some add notices in their day to day duties to exercise at least 30 minutes a day. If you are running a fitness class or gym, then your online presence is very beneficial for you. For example, Youtube videos and social media marketing better to reach your end audience. There are various platforms to reach the public. But it is wiser to keep all your collections in a single place, and that is your business class professional website. Fitness websites help you, to reach the further audience to manage a portfolio and it also helps the user to join your classes regularly. 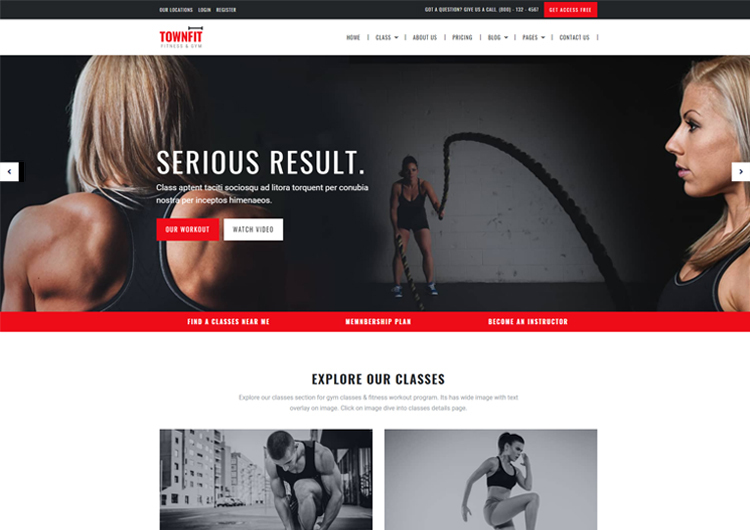 Here the best fitness website templates you can apply to showcase your fitness classes. 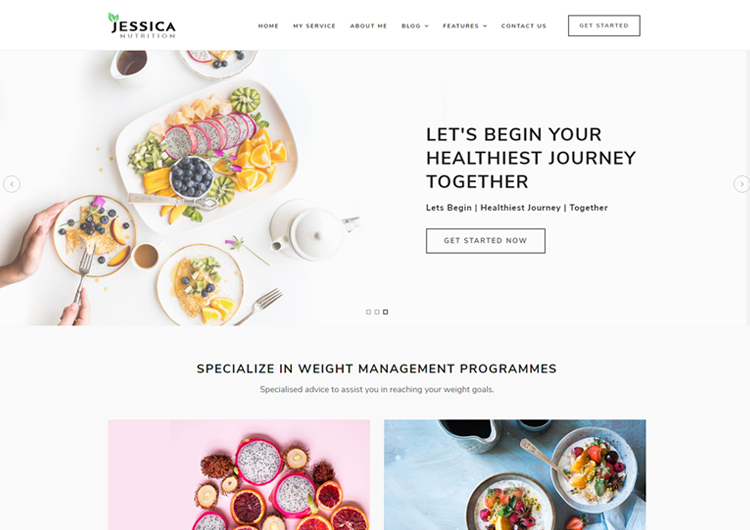 You can use these website templates for yoga center, fitness club, a physiotherapy center, gym and related kind of services. To create a fitness website you do not need to hire a developer. Just add your content and little customization as per your requirements. All the templates come with the latest trends and regulations. You can show your outstanding services. These are ready-made website templates. All website templates are ready to work seamlessly on both mobile and desktop devices. And compatible with all popular web browsers. 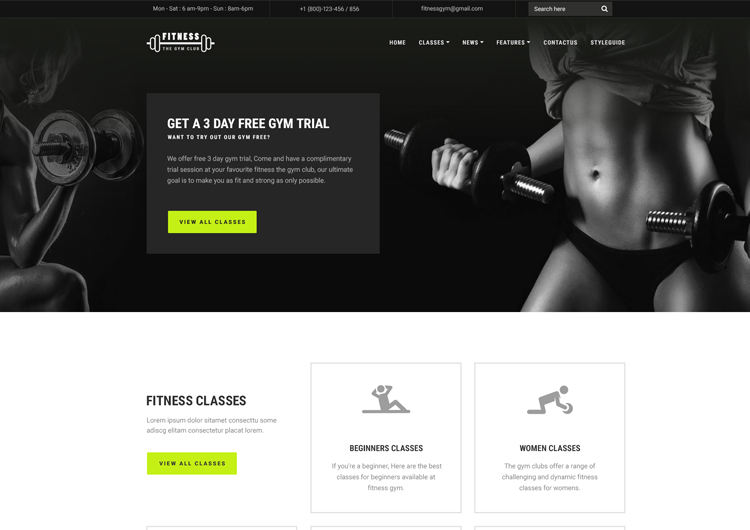 All fitness website templates are perfect for beginners and professionals at web design and development. It's all with a full-screen slider, sticky navigation, animated statistics effect. Look no further and begin executing a website template with your fitness business.